We strongly encourage all dog owners to seek advice from their veterinarians on ALL health issues and to keep up on ALL recommend immunizations/titers* that their veterinarian recommends. These change from time to time and place to place. We can not list here what owners should immunize their dogs for or prescribe any protocol for such immunizations or titers*. Elbow Displasia is a cause of front-leg lameness in large-breed dogs. 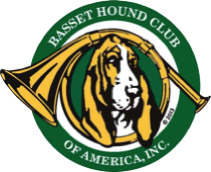 It is not considered to be common in basset hounds but it does occur. 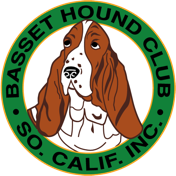 The Basset Hound Club of America, Inc. has a page with many more links that we encourage you to look at. We feel it necessary to note that some of these links no longer work. Of course you can also do an Internet search for these topics as well.